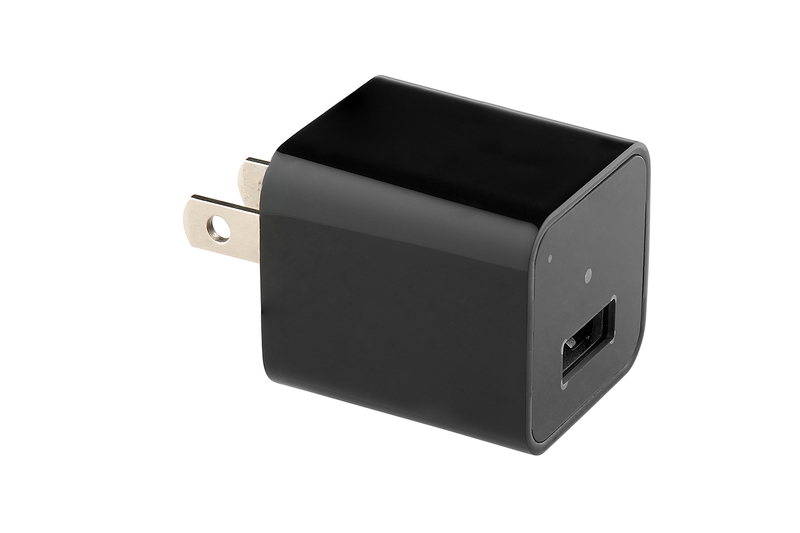 As a covert security camera, the USB Wall Adapter Pro works just like a normal USB charger for your iPhone or Android device, so you can hide the fact that you’re recording video at the office or around your house. 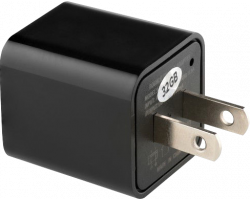 Just plug the camera into an AC power outlet and the camera will immediately start recording video, watching over your valuables if you’re away from the office or out of your house for long periods of time. The USB Wall Adapter Pro looks and works just like a normal phone charger, so you can record video at home or at the office without bringing attention to yourself. As soon as you plug the USB Wall Adapter Pro into the wall, the camera will start recording without anyone being the wiser. People see phone chargers all the time, so you can leave the camera plugged into the wall for days on end and nothing will look out of place. Even if the outlet sits low to the ground, the camera comes with a wide angle lens that gives you a full view of what’s going in the room. You’ll always be able to see who’s coming into the room and what they’re doing when you’re not around. There’s no point in buying a covert security camera that captures blurry footage. When monitoring your valuables, you need to be able to see specific details and faces with as much clarity as possible. The USB Wall Adapter Pro captures full 1080p high definition video, giving you a clear picture of everything that happens in your home or office when you’re away. 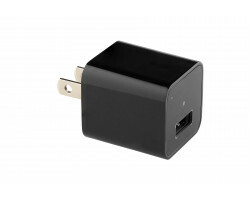 The USB Wall Adapter Pro comes with 32GB of built-in memory that can capture up to 4 hours of HD video. The camera also comes with a loop recording feature, which means that when your memory card is full, the camera will automatically write over your existing footage so that the camera can record continuously. When you’re ready to transfer the footage, just plug the camera into your computer using the included USB cable. If you’re looking for a reliable, covert way to record video at home or around the office, the USB Wall Adapter Pro is the security camera you’ve been looking for. You can rest easy knowing that your valuables will always be safe when you’re not around.